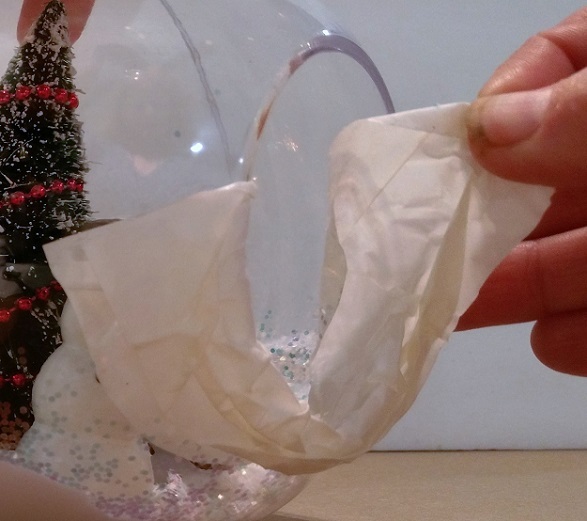 Make sure that the inside of your panoramic ornament is clean and dry. 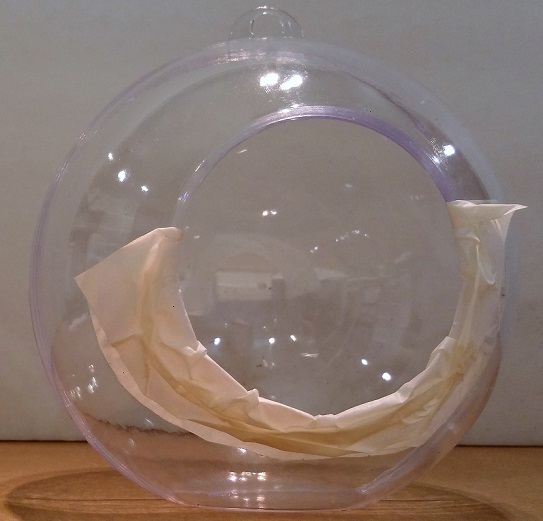 Place a bit of masking tape around the edge of the opening of the ornament. 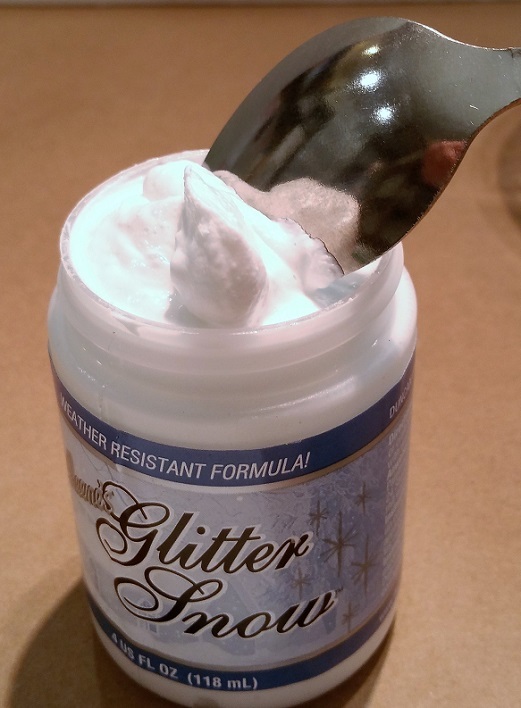 This helps to avoid drops and smears of the Glitter Snow getting on the opening edge. 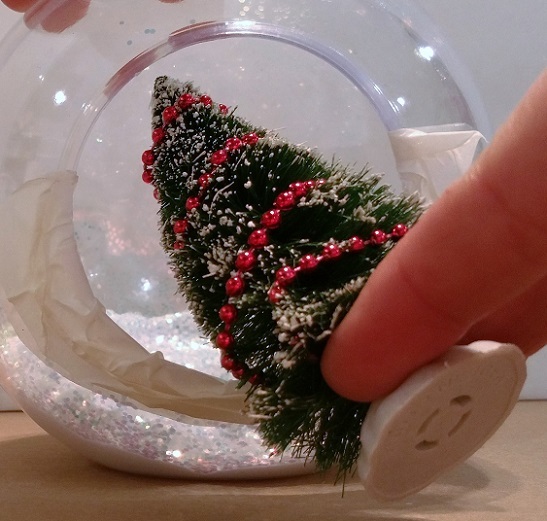 Using your spoon or other scooping instrument scoop the Aleene's Glitter Snow into the panoramic ornament. 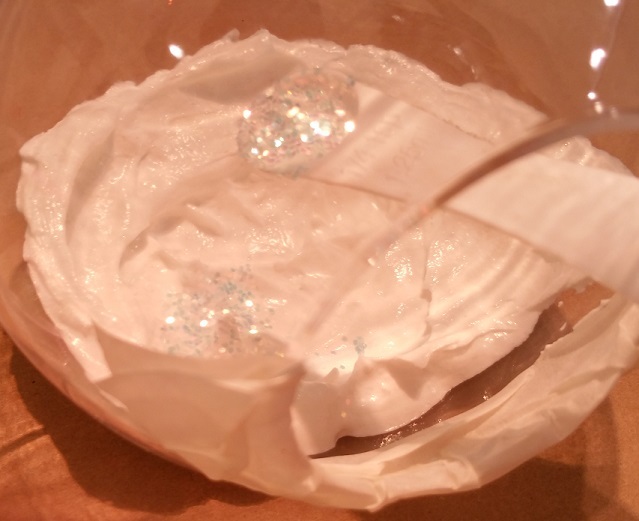 I found out that the outside edge of the spoon works wonderfully for placing the Aleene's Glitter Snow into the ornament. 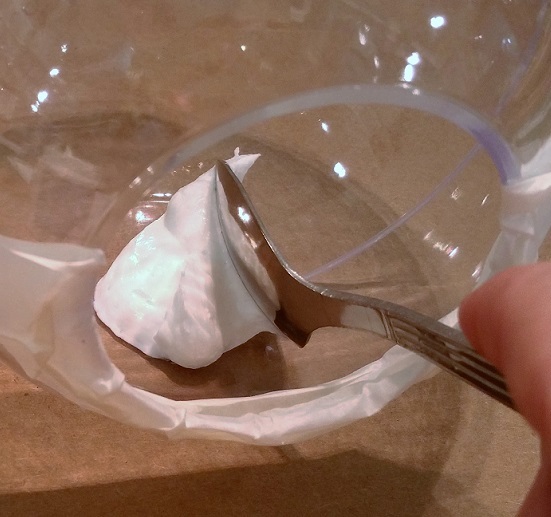 I was able to make drifts and peaks when I manipulated the spoon about. 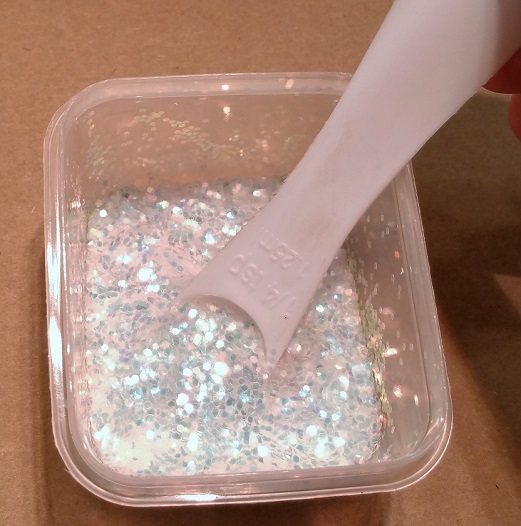 I added about 1/2 a teaspoon of glitter to the top of the Aleene's Glitter Snow. When you move the ornament about you can get a full coverage of your glitter. 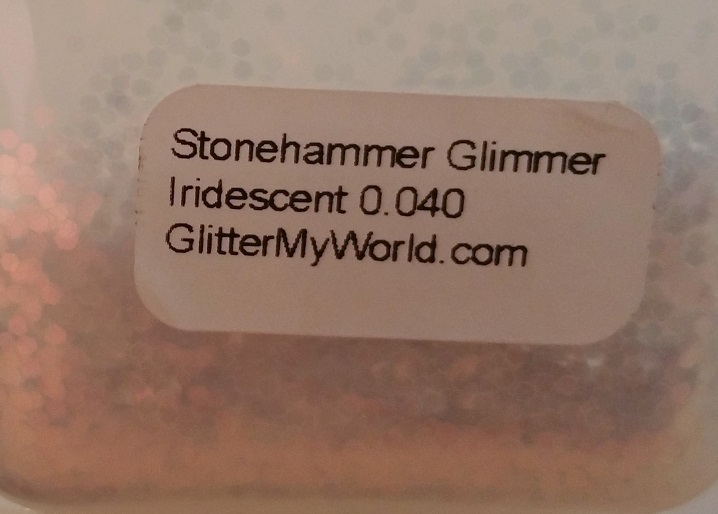 The effect of the Stonehammer Shimmer glitter on the Aleene's Glitter Snow is stunning. 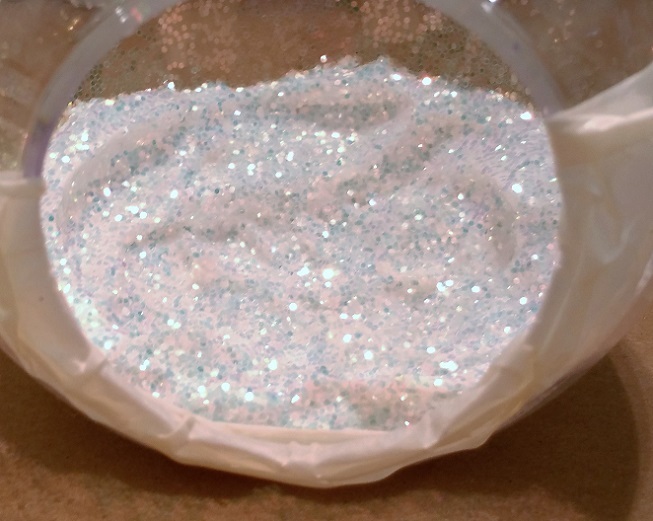 As the Glitter Snow dries it holds the glitter in place like a glue. 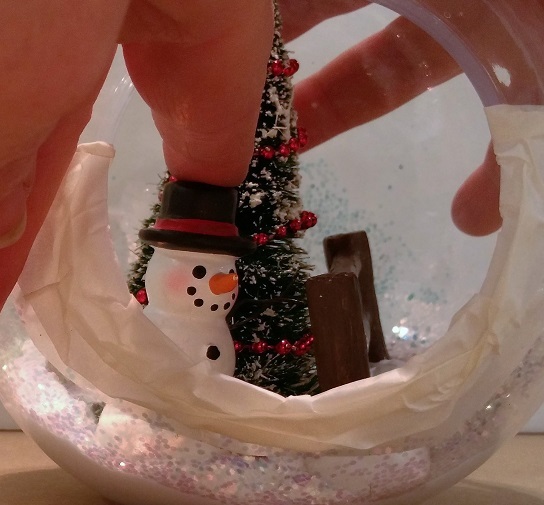 I then added the mini decorations by pressing their base into the still wet Glitter Snow. When I added a bit more of the Aleene's Glitter Snow and Stonehammer Shimmer glitter to the fence line, the scene really popped. 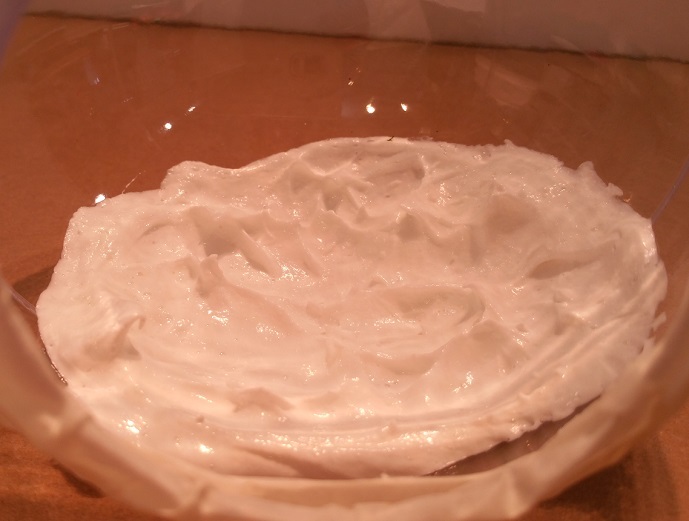 I removed the masking tape. And VOILA!!! 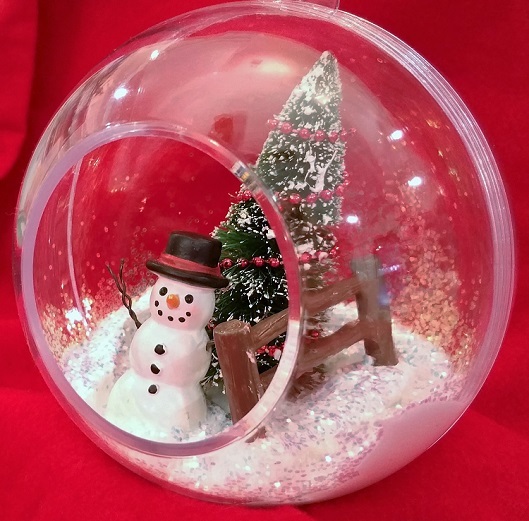 This will be a wonderful addition to my Winter decorations!! !